An Organist is for Life, not just for Christmas! So here we all are, one year on and wondering how best to portray the coming of our Lord and Saviour, humbling Himself to being born in a mucky stable – using our gift of music, in a carol service which should leave our congregations leaving with a newly-fired zeal and ‘on-fire’ for the Lord. Or do we just give everybody what they expect to hear and experience, for their ‘once-a-year’ trip to the church. Another “Christmas-must-do”, to be ticked off the list along with turkey, presents, cards, a carol service, Queen’s speech…. Eastenders Christmas Omnibus Special? After all, who is all this for? As organists we are in a position to try to satisfy all of those who enter into the church for … “The Carol Service”. But consider this – every person who comes into your church, chapel or cathedral has an idea of of what THEY expect to happen, often based on past wonderful Carol Services they have experienced! 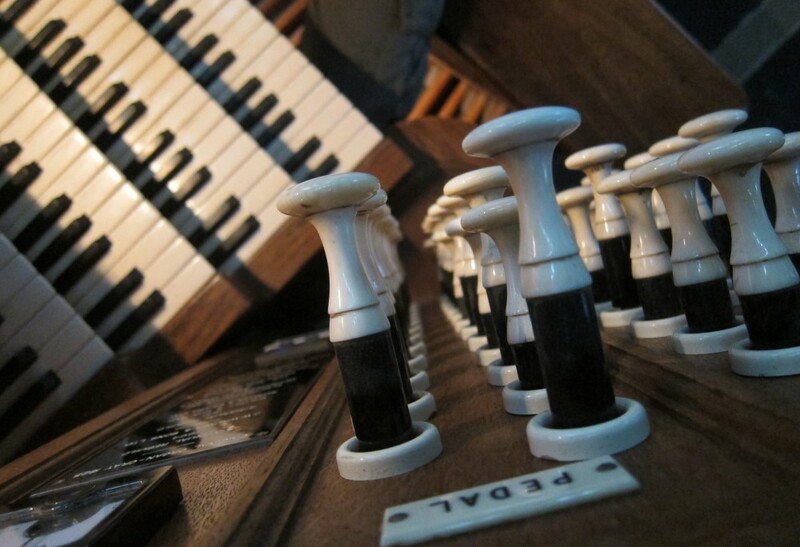 Do we, as organists, also have a desire to recreate fantastic musical experiences that occurred years ago? For me – my formative years were fashioned in St Peters’ Choir, Wolverhampton, and also some other life-changing experiences with the RSCM Midland Cathedral Singers and RSCM Cathedral Courses. I’ve also been spiritually uplifted and profoundly moved by worship bands, inspired by people just doing their very best in what they do, and been reduced to a tear-stained, quivering, blubbering wreck by one man and his guitar – yes, my friends, his name was Graham Kendrick! So now – what is MY responsibility to those entering our church this Christmas? Do I impose on the congregation what I think they OUGHT to need to heighten their experience of Christmas? It could be to let them ‘feel-at-home’ with a selection of pop-tunes, or to raise their experience to the lofty heights of “Dieu Parmi Nous” (Messiaen). Does it really boil down to ‘Shakin Stevens’, ‘Slade’ or ‘Bach’? For our Carol Services, we base our music around the central readings of the Christmas story, so anyone ‘coming-in-from-the-cold’ will get the clear Gospel message of Christmas. Our choirs are rehearsing the carols which we hope will enlighten and affect our congregations, and will have also heightened our own experience of preparing for Christmas. I shall have the privilege and pleasure of playing for several different carol services throughout the next two weeks – some, where the church will be full of parishioners no doubt visiting the church for their annual visit, and others for whom their life may be changed and will never be the same again. So – what choice to play on Christmas Day itself? At St Mary’s, we shall all celebrate together the birth of Jesus Christ, in a service where the style of music should not, and will not matter. What does matter is that we consider what we are playing, and then to do what we do to the very best of our ability, to lead our singers and congregations closer to worshipping God. Whether it is “Come and join the celebration”, or “Dieu Parmi Nous”, tambourine or ukulele, it simply does not matter – “Jesus Christ is born today” – now, THAT MATTERS! To all organists who are celebrating Christmas this year, let me say “pull out the exta Great Reed” – and enjoy celebrating the birth of our Saviour!….